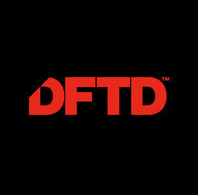 Launching early June, DFTD is a new, breakout label to Defected Records. Focusing on fresh, new and undiscovered talent from around the globe - along with the occasional curveball release from established acts, DTFD will be releasing music from the likes of Guti, Jonas Rathsman, Forrest and Pitto over the coming months. DFTD will complement its parent label and will have a more diverse musical remit, releasing a broad range of electronic music, focussing on quality, discerning dance music. The label’s first release will be from Guti, who, with previous releases on Cadenza and Desolat, has demonstrated his creativity and passion for underground electronic music, both of which are in full force on the ‘Hope EP’. It’s out June 3.